When the Roomba autonomous robotic vacuum cleaner was first introduced in September 2002, it was easy to assume that it would disappear from TV ads and late-night infomercials in no time. As of February 2014, over 10 million Roomba units had been sold worldwide as word of mouth and passionate customer reviews communicated that this was a quality product powered by its long-lasting Roomba battery. Unlike other early 2000s attempts at creating a mainstream robotic product, such as robotic dogs, the Roomba actually worked as advertised, cleaning an owner’s house with little assistance required. In fact, the only time most Roomba users have to go under the hood is when changing their Roomba battery. 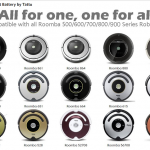 To date there are seven generations of Roomba vacuums, including the introductory Original Series all the way to the most recent 980 unit. And while the product does provide hands-free cleaning of your home, changing the Roomba battery has become a common question on forums and in searches, making it a source of debate amongst many owners. Simply put, a dead Roomba battery or replacement batteries provided by the company that tend to not hold charges well can turn the device from a dream machine to a royal nightmare. So with a wide number of secondary sellers of Roomba batteries and many different generations and models, the question is: which Roomba battery is compatible with which the most models and provides the best value for its price? Firstly, when searching for a Vacuum Cleaner Replacement Battery, always check to see which models are compatible with a particular battery. Generally speaking, you will likely be shopping for a replacement battery for either the 500, 600, 700, or 800 model series. Unless you still owe a model from the 400 series, avoid those Roomba batteries altogether as they are not compatible with any other Roomba generation. But if you happen to own a Roomba 400 Series model, then consider going with either the Tattu replacement batteries. In regards to some of the better Roomba battery options available for sale online, the Tenergy replacement battery is one of the most popular replacement choice amongst Roomba owners, both for its lower price and because it is compatible with the last four generations (Roomba 500, 600, 700, and 800 Series). Lithium batteries are generally considered one of the best choices when it comes to batteries in general, and with the Roomba, lithium batteries actually charge Roombas in order to extend the battery life. However, lithium batteries tend to cost the most. 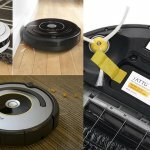 Finally, while it is a bit pricier than the Tenergy Roomba battery, the Tattu replacement has earned the praise of Roomba owners and battery professionals alike, providing the owner with a 50% increase in battery life. 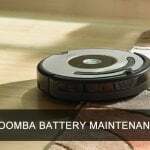 Of course, there are plenty of tricks to extend the life of your current or replacement Roomba battery, such as running the battery dry and cleaning the Roomba’s brushes as when they get clogged, they can drain battery life. 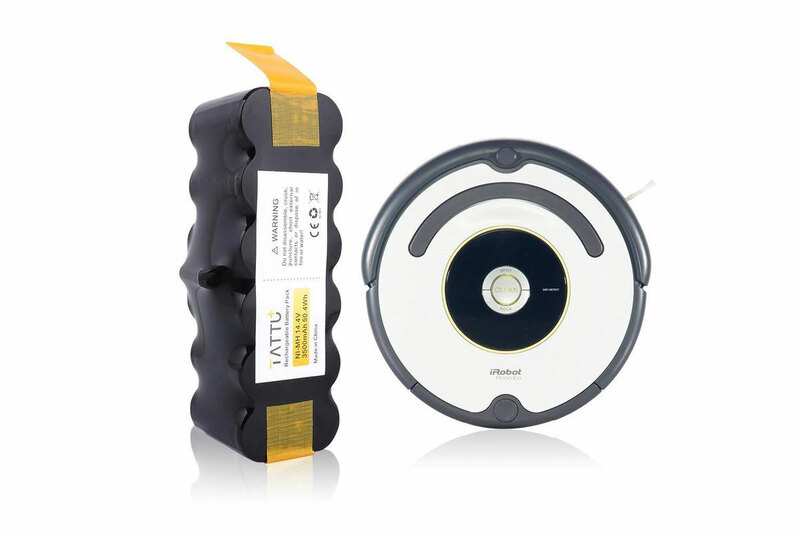 But if you’re happy with your Roomba, then you will need to get a replacement at some point and by avoiding any 400 series batteries and going with either a Tattu, or lithium battery, depending on your budget, is the best bet. Next post Next post: Why Need Irobot Roomba Replacement Battery?